Think you can just cruise through the race like it’s just another marathon. Whichever you are, the Discover Your Ultramarathon training system will help you avoid the mistakes of most first-time ultramarathoners, and run the strong race you’ve been dreaming about. For less than $1 per mile, toe the starting line of your next 50k fully prepared. Hi, I’m Doug Hay, a trail runner and coach with experience in trail races ranging for 5k to 100 miles. That’s me in the photo with my wife Katie, just moments after running over 102 miles at the Black Mountain Monster 24 hour race. But don’t let that smile fool you. 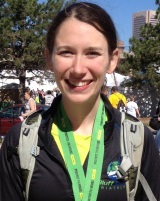 I haven’t always looked so happy at the finish line of an ultramarathon — especially my first. During that first 50k, I probably did more things wrong than I did right. And now that I look back on it, it was mostly because I didn’t ask any of the right questions before lining up at the start. Even if I had asked questions, I wouldn’t have known what questions to ask! That’s what makes Discover Your Ultramarathon: A Beginner’s Guide to Running an Ultramarathon so great. It’s a guidebook for the first time ultrarunner, or even the ultrarunner looking to avoid the problems of their first races, that answers all the questions you’ll have leading up to the race, plus provide all the information you didn’t know you’d need before race day. Ultrarunning isn’t just for Greek Gods, elite athletes, or crazy people. I’m a firm believer that anyone can run an ultramarathon, they just need guidance, information, and determination to set them up for success. You don’t have to make all the same mistakes I did. And you don’t have to be overwhelmed by the distance. All you have to do is provide the determination. I’ll provide all the guidance and information you need. Preparing for the Experience: How to prepare the mind for the training ahead by building confidence and setting yourself up for success. Ultramarathon Fundamentals: Understand the differences between trail ultras and road marathons, to successfully train yourself for race day. Training Basics: Properly prepare the body for training to stay injury free and healthy. Successful Race Day: Proper ultramarathon race strategy, pacing advice, and everything you and your crew need to know on race day. Personal Tips and Stories: Advice from over half a dozen experienced ultrarunners on everything from pacing to staying motivated. Two 20-week training plans with high or low mileage options for both the 50K and 50-mile distance. These plans are designed with just the right progression of miles to keep you injury free and strong on race day. Stay on track with fillable progress sheets and automatic pace calculations. Document all the details directly on the training plan in the notes and tracking sections. Part of what makes running unique is the strong and welcoming community. So, when designing Discover Your Ultramarathon, it was important to me that all members could work together and interact. After joining the program, you’ll gain access to a private Facebook group, just for RCR community members. It’s here that you can hold each other accountable, brag about a big training run, and announce to your fellow runners that you just signed up for a race. We’ll support each other, answer questions, and provide a unique sense of community. The book itself is packed full of practical information from my own experiences and the experience from those talented runners who have contributed, but I’m just one guy, and the contributors were only able to cover so many topics. So I reached out to four experts and asked them to speak to you directly about the big lessons beginner ultrarunners should know. When you download the Discover Your Ultramarathon eBook system, you’ll receive instant access to 4 bonus interviews with ultrarunning professionals and experts, delivered as downloadable MP3s. Perfect for long run entertainment. Why Mike’s first ultra was a mess, and the lessons he learned from that experience. 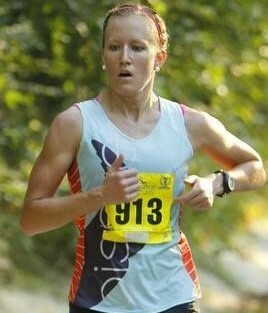 Training for races all over the world when limited to East Coast terrain. How to use speed work to improve as an ultramarathoner. Making time for training with a family and a full-time job. Mike’s thoughts on the ultrarunning community. How to properly prepare for an ultra. Calming your nerves and mental preparations on race morning. Making a race plan, sticking to it, and how to avoid panic if something goes wrong. Why Alyssa drinks most of her calories during a race. How trail running and ultramarathons became both a passion and a career. Struggles road runners face when switching to trails. Major difference between road marathons and trail ultramarathons. Training your body to burn fat during endurance runs. How 50 miles went from an unthinkable distance to not that difficult. Picking your ultramarathon goal and setting yourself up for success. Setting expectations for your first ultramarathon. Race day nutrition strategies as a vegan. Bragging rights of an ultrarunner. One of the best complements to running I’ve found is yoga. The strengthening, stretching, and balance building poses give you confidence and power on and off the road or trail. As a bonus to this program, Katie Hay, Registered Yoga Teacher (500 level), Yoga Therapist, and my wife, has recorded two yoga sessions designed specifically for runners. The first is a 20-minute quick session you can easily add to your post-run routine. The second is a nearly hour-long sequence perfect for your days off. If you even have the desire to run an ultramarathon, then you’ve got what it takes. And this system will show just you how to get there. I’ve designed this system to fit both the runner who is interested in trying an ultramarathon, but doesn’t know where to start, and the runner who has already tested the ultra-waters with a 50k or two, and now wants to get stronger and run longer. The training plans are designed for people with at least some endurance running already. It assumes that you’ve run one or more marathons, or at least had experience in the endurance world. But again, that doesn’t mean you need to be some super-human athlete. You don’t even need trail running experience or special endurance skills to pick up this eBook, we’ll cover all that throughout the sections. You just have to trust that the combination of information and the drive you bring to the training will take you across the finish line. 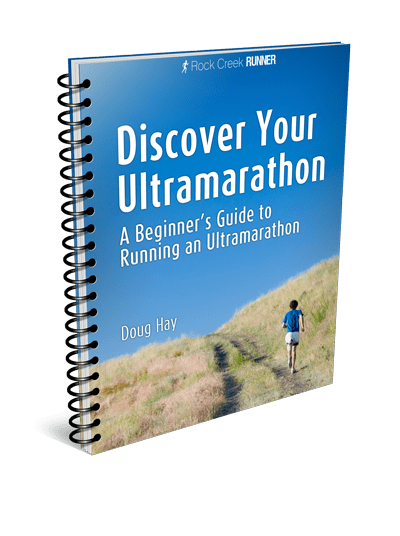 129 page Discover Your Ultramarathon eBook training guide, designed to cover everything from selecting the perfect race, to all the details that go in to getting you across that finish line. 20 Week 50k Interactive Training Plan, customizable to your race dates and needs, so that you’ll be more than adequately prepared for a great 50k race. 24 Week 50 Mile Interactive Training Plan, also customizable, but designed for the runner eager to go straight to the 50 mile distance, or the runner looking to take the 50 mile plunge for the first time. 4 Bonus Audio MP3s, featuring stories and advice from some of the most experienced people in the sport. This is an incredible package, and you can get it right now for just $24. That’s less than $1 per mile of your 50k. And yeah, I purposely did that because spending less than a buck per mile to run stronger and suffer less seems like a no-brainer if you ask me! Just click the big blue button, and start your training off right. There’s no reason to make the same mistakes I did. The Discover Your Run eBook System is immediately downloadable as PDFs, MP3s, and spreadsheet files, which means you don’t have to wait days for a package to arrive before getting started, and no dealing with the fees or hassle that come with shipping products. I’m so confident you’ll love the Discover Your Ultramarathon system, that this guarantee was a no-brainer. If you’re not happy with the system, then I don’t want you to pay for it. Just let me know within 30 days of purchase, and I’ll give you a full refund. No questions asked. No BS runarounds. If you’re not happy, I’m not happy. 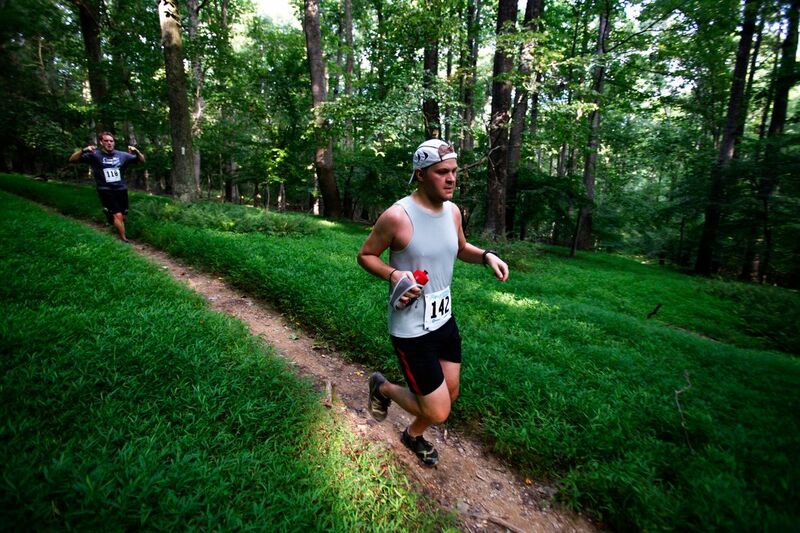 Hey there, I’m Doug Hay, author behind Rock Creek Runner and Discover Your Ultramarathon. I know everything in this eBook system works, because I’ve used it. Running ultras has been a huge part of my life for the past 5 years, and I owe the confidence I’ve gained from running these once unimaginable distances to successes both on and off the trail. Ultramarathons and trail running have reinvigorated my passion for the sport of running, and provided the perfect outlet for my love of the outdoors and trails. And that’s why I’m so excited to share my experiences with you. My writing and advice have been featured on a number of major media publications.